Flexi Studio - A New Age Design Studio! A business with a distinct offering and targeted customers requires an equally unique and compelling corporate identity. 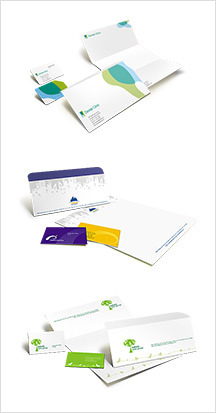 Professionally designed logo, business card, letterhead, envelope, and marketing materials like brochure go a long way in creating a vital first impression on your client and prospects. It is as critical as your actual services and products. Checkout our Flexi Studio Unique Print Designing Services, that offers out-of-the-box ideas and customized designing solutions. We offer excellent quality and top-notch creativity that you expect from a full-service design studio, but we charge only a fraction of the cost! When you decide to work with us, we leave no stone unturned, and understand your business and its requirements, thereby creating a unique and impactful identity for your business. Flexi Studio Unique Print Designing is a perfect blend of expertise and knowledge in the field of graphic designing. We have an efficient team that is equally adept at creativity for business, various printing technologies as well as online and off-line marketing communications.